Standing along our nation’s highways, main streets and rural country roads is the physical evidence of our early road culture, the remnants of our collective travel experience throughout the twentieth. 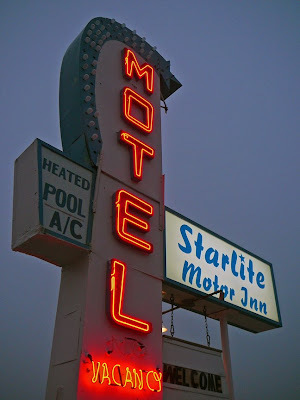 These physical elements include gas stations, diners, drive-ins, motor courts, retail strips, theatres, roadside parks and a variety of roadside curiosities, to name the obvious. 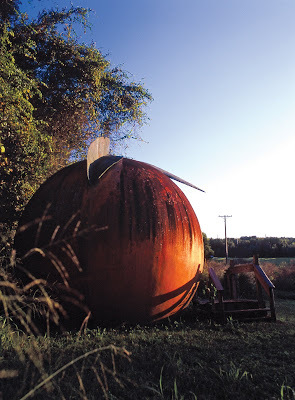 They are places and structures that today capture the imagination and elicit feelings of nostalgia and curiosity. As time passes the recognition and preservation of such places is vital to their function as historical record and personal benchmark. Places of roadside culture are those that we have all experienced, that we can all relate to and that we can all play a roll in protecting. 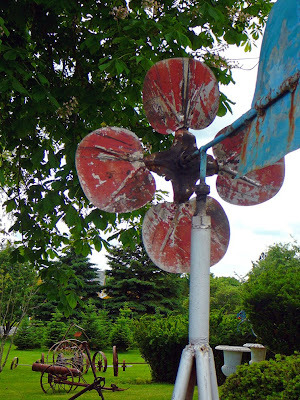 How many times have you driven by a decaying roadside icon and wondered why no one seems to care that it appears ready to fall down? Are you concerned that an important local landmark of road or commercial culture is or could become threatened by development or neglect? The Society for Commercial Archeology is creating a way for you to take action and make your concerns known. 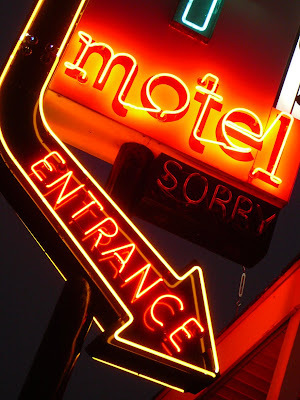 We are announcing the creation of Falling by the Wayside: 10 Most Endangered Roadside Places; a list that will seek to compile the ten most threatened roadside places in the country each year. 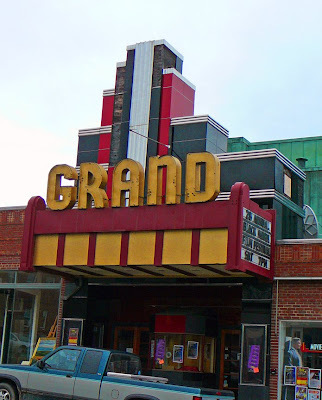 Your help is requested to make the list a comprehensive and diverse compilation of noteworthy places that deserve the attention and recognition of the preservation community and the public at large. We are currently accepting nominations for the 2009 list, see details below. 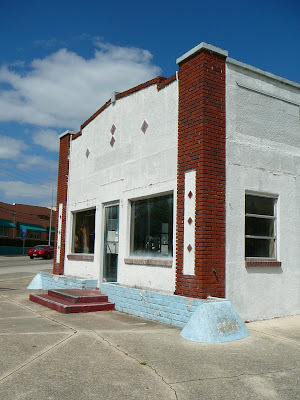 Through the creation of the list we hope to access the vast resources of SCA and translate them into a tangible resource that will draw attention to commercial and roadside places that are in danger of being lost or drastically altered. An endangered list is a viable and potentially powerful way of giving a voice to threatened places. We encourage your participation. Nomination: Anyone can nominate a resource to the list. We welcome and request nominations from SCA membership and the general public. 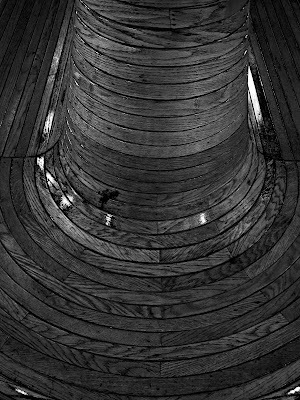 Criteria: Elements eligible for inclusion will be those that fall within the scope of SCA’s stated interests and mission: architectural elements and cultural landscapes that are related to roadways, highways and road culture, including, but not limited to diners, drive-ins, coffee houses, gas stations petroliana, motels, hotels, tourist cabins, motor courts, retail centers, theaters, roadside curiosities, and roadside sculpture. Scope of inclusion: A date range will not be pre-established, however; regardless of age, nominations must clearly express the historical and community significance of the resource proposed for inclusion and fulfill all other required nomination criteria. Selection: Elements will be selected for inclusion on the list by the SCA advocacy committee based on the information provided through the nomination process, additional information will be requested as necessary. Nomination Deadline: The nomination deadline for the 2009 list is July 20th. 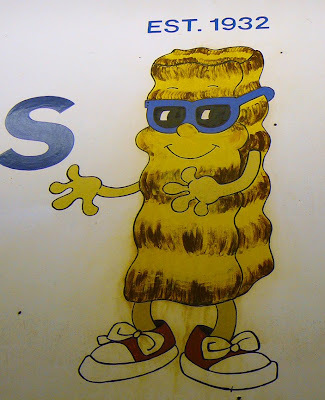 The above content was from an email sent byt the Society for Commercial Archeology. 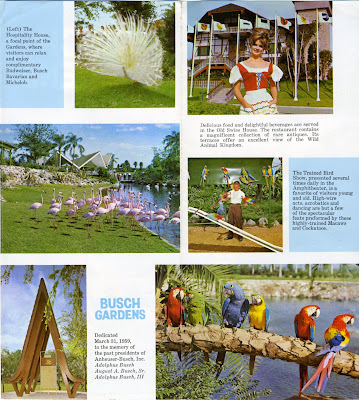 According to the brochure, Busch Gardens was dedicated in 1959 to past AB presidents (Adolphus Busch, August A. Busch, and Adolphus Busch, II.) 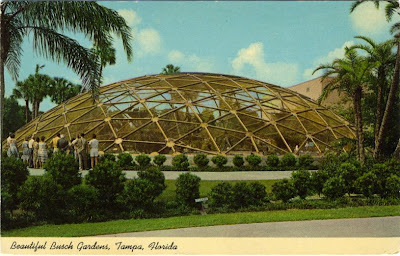 At that time the Gardens was open from 9:30 am to 4 pm, every day but Sunday and holidays and there was FREE ADMISSION! 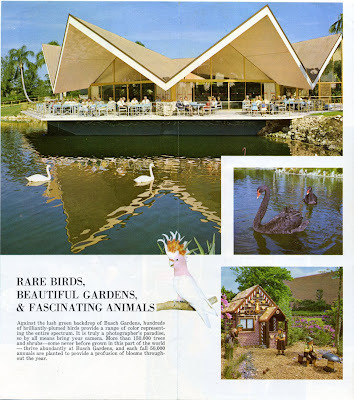 Ken Breslauer in Roadside Paradise states of Busch Gardens "By the mid 1960s it had grown to over 160 acres and featured the Space Frame Geodesic Dome, Bird Show Ampitheater, Dwarf Village, Flamingo Display and and thousands of flowering plants." 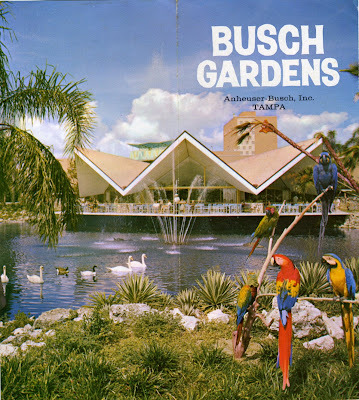 The Gardens expanded with a zoo, monorail and rides to keep pace with Disney in the '70s and '80s, but according to Breslauer "Busch Gardens must be credited with setting a new standard for Florida tourist attractions, but at the same time it directly contributed to the demise of many smaller roadside attractions." 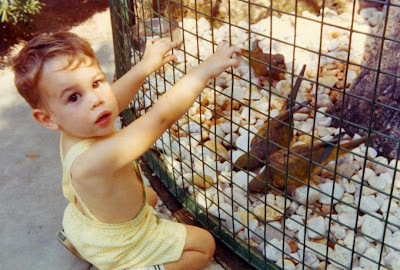 Here I am at Busch Gardens on my initial visit, oblivious to the fact that my little fingers could easily be mistaken for parrot food. 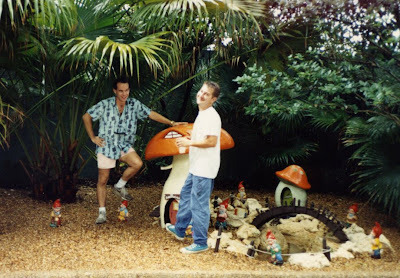 On a later visit, in the then kitschy dwarf village. 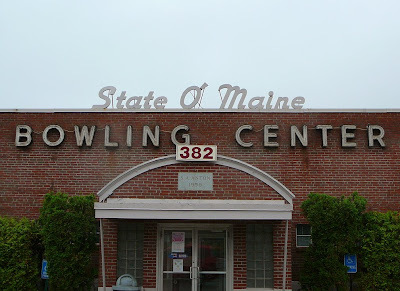 I came across this wonderful vintage bowling alley on US 1 in Scarborough, Maine just south of Portland. 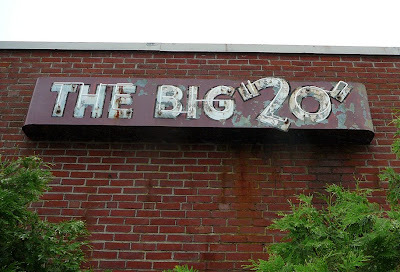 My friend Tom, who considers himself a part time Mainer, explained the meaning of the Big "20". 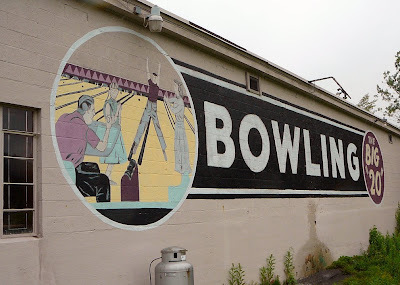 This bowling alley, at one time the largest in Maine features 20 lanes of Candlepin bowling, a style of bowling practiced mostly in New England and Canada. 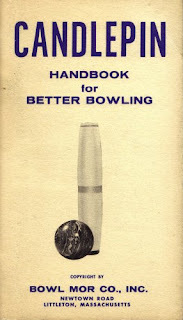 According the official Candlepin bowling website, the pins are taller and narrower than traditional hourglass-shaped bowling pins and resulting in a "candle-like" appearance. Unlike conventional bowling, downed pins are not removed during a players turn. Also the balls are much smaller and have no holes; from what I can tell they appear to be about the size of a softball. According to the Wikipedia site, these differences between Candlepin and conventional bowling make scoring much more difficult and the highest score ever recorded was 245 out of a possible 300 game. 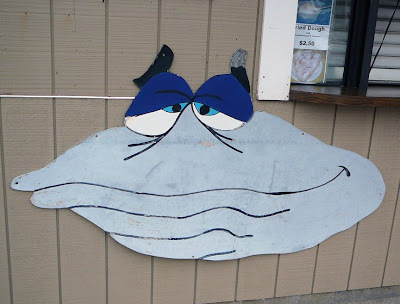 One of my favorite aspects about my trip to Maine was discovering peculiar Maine-centric customs and products like Candlepin bowling, Moxie Soda, lobster rolls, popovers and Bangor Taffy. 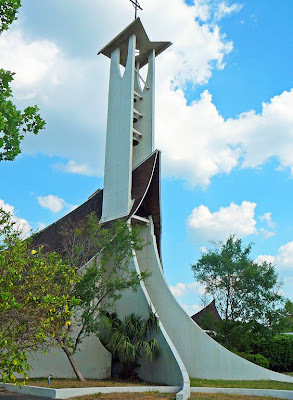 I hope to visit again and try my hand at this challenging game. 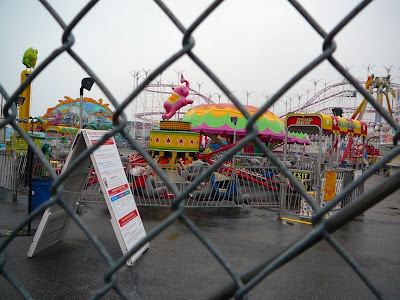 Old Orchard Beach is the Daytona Beach of Maine. Or maybe the Panama City Beach. 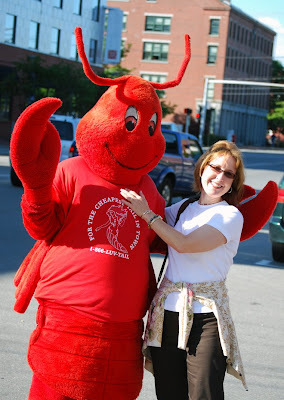 It's a place where the kitsch is overwhelming and the good taste, ever present in the rest of Maine, gets tossed aside to appeal to a steady influx of French Canadians tourists. A rare sand beach in Maine, Old Orchard has a rich history of entertaining vacationers and the campy eye-candy is everywhere. 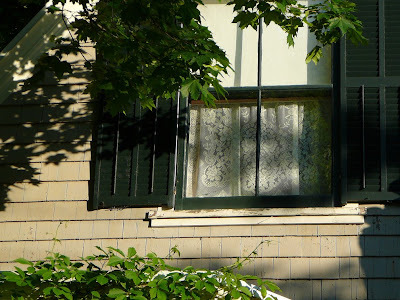 The first boarding house for summer tourists was built in 1837. In 1853, the Grand Trunk Railroad connected Old Orchard Beach to Montreal, giving French Canadians easy access to the sandy beach. 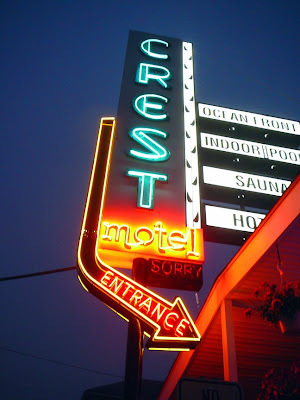 In the twentieth century, the long, crescent shaped beach was used a starting point for trans Atlantic flight attempts, based on the success of Charles Lindburgh, according to Old Orchard Beach website. 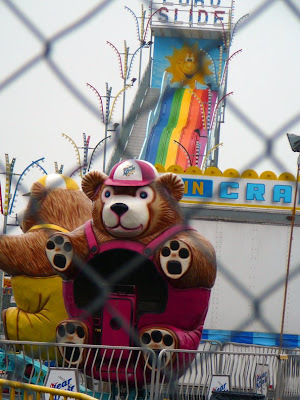 Today visitors take flight in an assortment of rides at a beachside amusement park. Like so many beachfront communities in Florida, large chunks of quaint charm has been lost to condos. 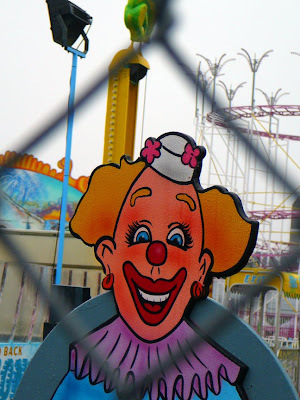 But enough is left over to get a glimpse into this city's colorful past. 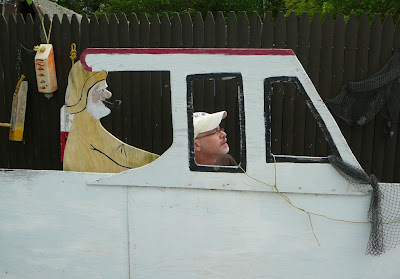 There have been no posts recently because I've been taking a little break vacationing in Maine. One of my favorite things about traveling is that not only do you see new sites at your destination, your perspective of your home can change in comparison to what you've seen. 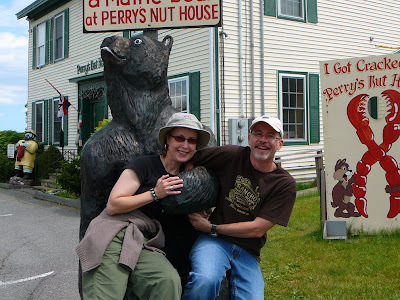 There were many things I really loved about Maine, that I wish were true of Florida. 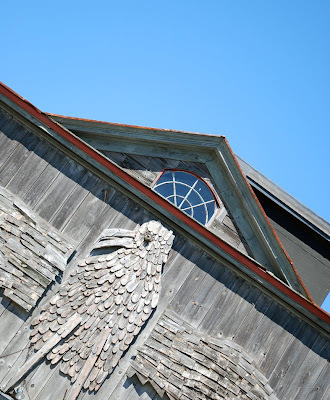 In Maine, they know how re-purpose old architecture. Perhaps because they have so much of it. We stayed in an inn built in 1730. That's almost fifty years before the signing of the Declaration of Independence. Imagine if the whole state were like St. Augustine. 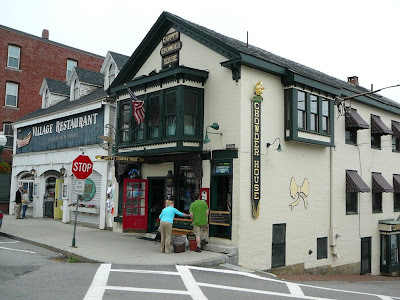 Even most new buildings are designed in the classic Cape Cod style and in many places if you took away automobiles you could easily visualize what the it would looked like in the 18th century. There was also a refreshing lack of sprawl and residential developments. While there were some commercial corridors that could be anytown USA, they were wonderfully few and small in scale. 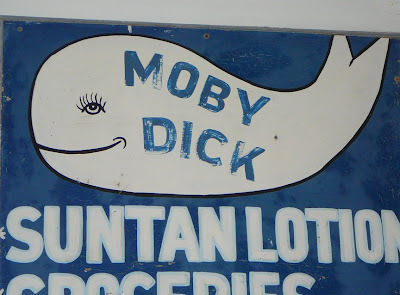 Many of the businesses seemed to be "mom and pop" family-owned places, not franchise after franchise. Of course, Dunkin Donuts has an empire up there, but overall there was not nearly the number of franchises one would see in much of the rest of the country. 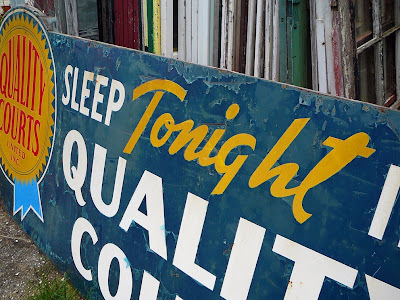 And as a result of the plethora of smaller businesses, the roadside is scattered with wonderful hand-crafted signage and "folk art" designed to stop motorists. 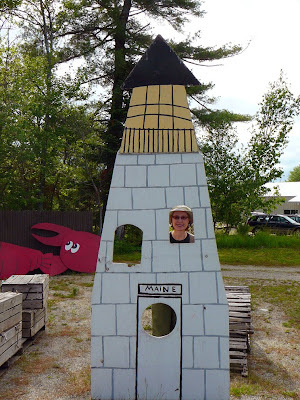 From giant crustaceans on the top of buildings to lobster buoys and traps, Maine's "Mickey" is the lobster and it appears in many forms along the roadside. 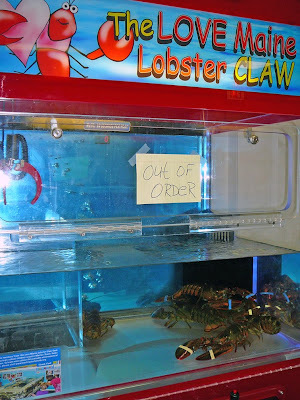 There are more folky roadside lobsters than alligators and flamingoes combined in Florida. 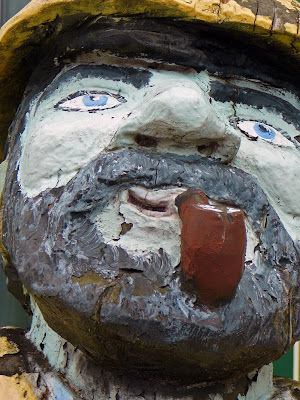 Other Maine roadside icons include the raincoat clad fisherman, lighthouses, loons and black bears. 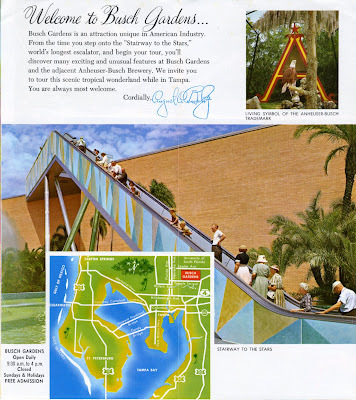 It was touristy in a way Florida probably was in the forties and fifties. 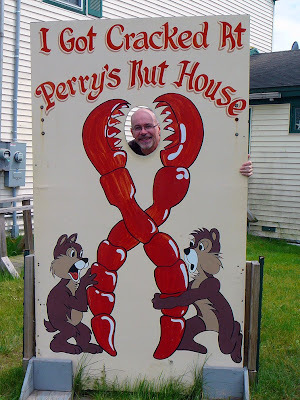 Perry's Nut House is a vintage tourist stop on US 1 Maine that counts Eleanor Roosevelt as a former customer. 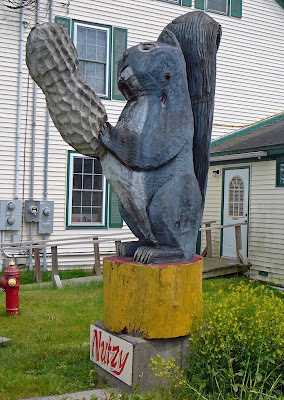 Overall I found a quaintness to the Maine roadside that is different from most of 21st century America. 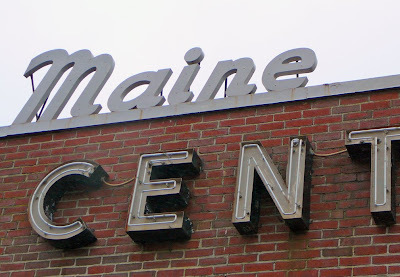 Whether it intentional or it just evolved that way, driving along US 1 in Maine is kind of like going back in time in many ways. It was a huge contrast to fly into Orlando and see miles of residential developments in every direction and then drive down SR 436 and see strip mall after strip mall. Perhaps we can learn something from our neighbors up north? 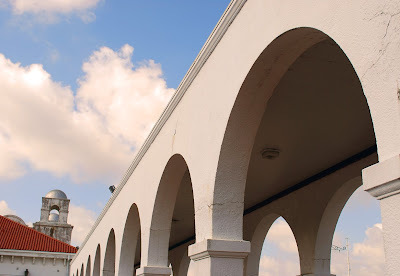 Orlando's 1927 Train Station is wonderful from both architectural and historical points of view. 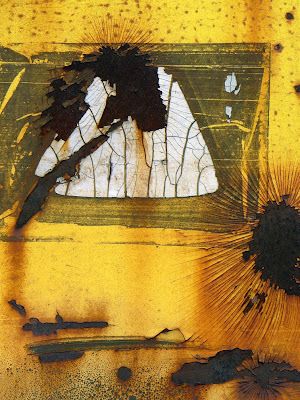 And its distressed condition allows for great textures for photography. 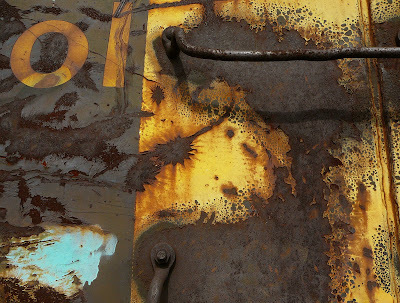 On a recent photo expedition I fell in love with the fading colors on the rusting boxcars, the cracking paint on the walls of the station, and even the gravel under the tracks. I could have filled up the entire memory card with details alone, but the I ran out of battery before I snapped every inch of the place. 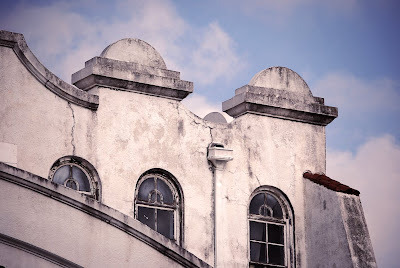 The City of Orlando's Historic Preservation Board also sees the artistic value of the station and has chosen it and the 1889 Railroad Depot on Church Street to be the subjects of their annual calendar for 2010. Guidelines are to create images that capture the architectural character of either of the two stations, day or night. They are choosing 13 black and white images and each winner receives a $100 honorarium. Leave a comment if you'd like more details. 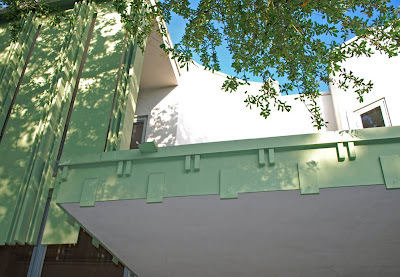 Central Florida is fortunate enough to have at least two former proteges of Frank Lloyd Wright practice architecture in the area, Isabel Roberts and Nils Schweizer. 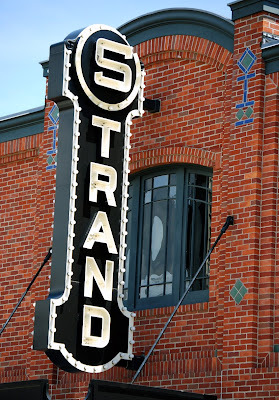 Most of Roberts' surviving commercial structures, created with her partner Ida Ryan, are in St. Cloud. 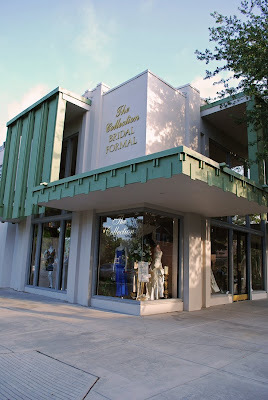 Schweizer's legacy however, stretches into the twenty-first century with notable structures all over Central Florida and an organization called the Nils M. Schweizer Fellows. 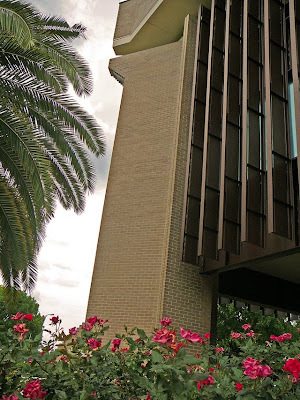 The Fellows is behind the Central Florida Modern group and have created this great online resource documenting some of our more distinctive pieces of modern architecture. 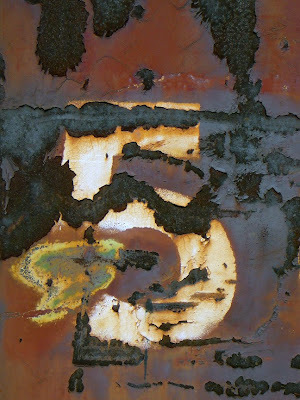 The site was a valuable resource as I photographed some of Schweizer's work for the Reflections journal. 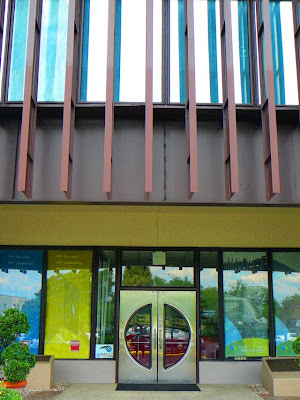 In addition to a home a couple blocks from me, I found familiar buildings I'd never stopped to notice before, had been designed by Schweizer. For instance, the Orlando Chamber of Commerce stands out like an island between I-4, Lake Ivanhoe and Orange Avenue. I taught myself how to rollerblade in the parking lot on weekends, years ago, yet never really took time to observe the building. The first floor space is basically a glass cube that invites the outside in. The details of the building, perpendicular steps and vertical lines, are very reminiscent of the work of Frank Lloyd Wright, at least in my novice opinion, and as I skated by I'd never stopped to notice them before. 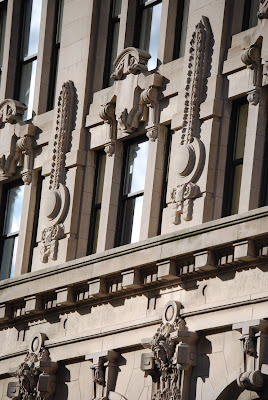 Another building I had taken for granted was the Schweizer building right on Park Avenue. 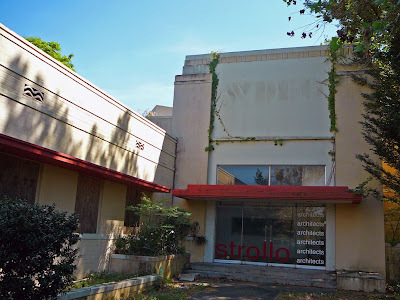 Directly across from the Briarpatch Restaurant, this modernist structure is partially hidden by trees now. Having walked by this place dozens of times, I'd never stopped to really look at it before. It's really quite visually interesting. 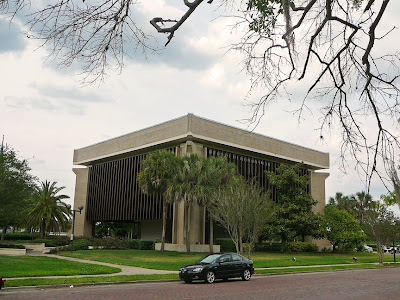 Other building Schweizer worked on include the expansion of the public library downtown and many churches including Episcopal churches in Maitland and Azalea Park. 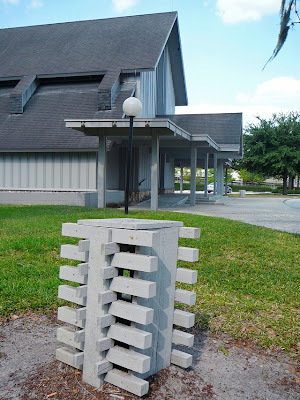 He is probably best known for the work he did with Frank Lloyd Wright at Florida Southern College. 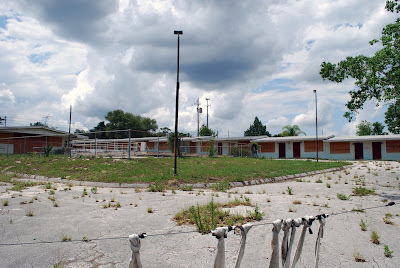 He also did master planning for the Springs subdivision (formerly Sanlando Springs) and Loch Haven Park. 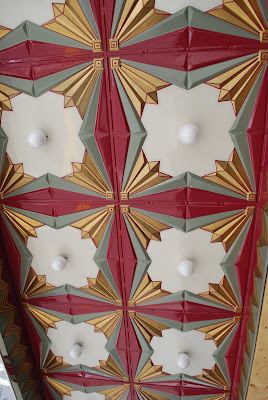 While I admit I still have a lot to learn about architecture, I love discovering that the same buildings I'd taken for granted for years, have hidden beauty I've overlooked due simply to my lack of awareness of them.